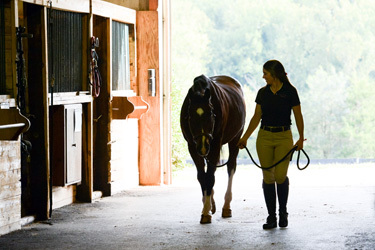 Sweet Briar welcomes students to board their horses at the Harriet Howell Rogers Riding Center. We are as dedicated to the well-being of horses as we are to the education of our scholars and riders. Anyone boarding a horse must pay an additional fee for the two weekly lessons she is required to take.